If you think the mobile phone signal in Hawkesbury isn’t great, you should try touring the coast of Scotland. In our week long trip around Fife (that’s the bit that sticks out to the right above Edinburgh), there was hardly a day went by when I could text or call home. Even my usual Hawkesbury tricks – holding the phone above my head or next to a window – would not persuade a single one of those aggravating little bars turn black. If we’d been in the Scottish Highlands, I’d have understood the problem: no line of sight contact with mobile masts. Those pesky mountains do get in the way sometimes. I was once involved in a BBC outside broadcast at Westonbirt Arboretum. The technical guy complained that the proximity of tall trees was the one thing to avoid when trying to make a transmission. (Cue to sack the location scout!) But when you’re in treeless ground at sea level, there really is no excuse. Ironically, we encountered on our coastal tour some surprisingly successful communication feats using old technology. 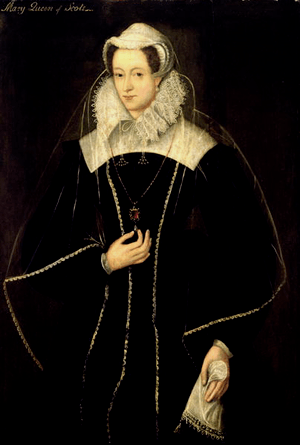 While imprisoned in Lochleven Castle, Mary, Queen of Scots used her pearl earrings as a signal – she gave them to a secret messenger to send back to her as proof that his mission had succeeded. 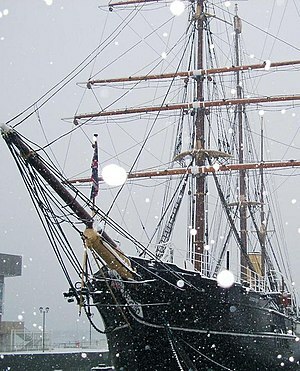 The intrepid polar explorers who joined Captain Cook on the RRS Discovery (now a floating museum in Dundee) packed rockets to use as distress signals. They didn’t seem to have an alternative for good news. 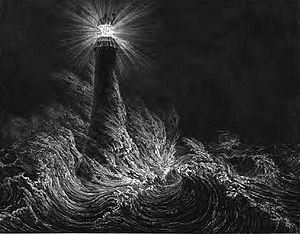 But my favourite was the system used by Robert Stevenson’s Bell Rock Lighthouse, built 200 years ago 11 miles off the coast of Arbroath. To indicate to those on dry land that all was well, the lighthouse keepers had to hoist a large brass ball to the top of the lighthouse tower each day. If on any day the ball did not appear, shore staff assumed there was a major emergency at the lighthouse (e.g. serious illness or death of the keepers) and sent out a rescue boat. There was only one tale of an unnecessary emergency mission: when a large seabird nested in front of the light, obscuring the view of the ball. So even the least technical solution isn’t failsafe. I think I’ll stick with my mobile. And dry land. This post was originally written for the May issue of the Hawkesbury Parish News.